Who is the 800 pound gorilla in the Internet retailing? There is no question about it – Amazon.com. The story of this company is, by itself, an excellent example of the renaissance innovation: Amazon.com thrives thanks in large part to the highly efficient supply chain management which allows it to deliver millions of products to the customers quickly and at very reasonable prices. One day I will write a separate post about it but today I wanted to blog about another company that was in the news recently because it was “what Amazon fears most” according to the Business Week magazine. Amazon’s nightmare is apparently a relatively small Internet startup out of New Jersey called Quidsi, which is better known by its main business Diapers.com. This company was co-founded by my former student at Wharton Marc Lore, and its supply chain is run by my other former student and now VP of Operations Scott Hilton. So why would a relatively small ($300M revenues in 2010) internet retailer threaten the Goliath ($32B revenues in 2010) to the point that Amazon.com decided to acquire it for $550M a few months ago? 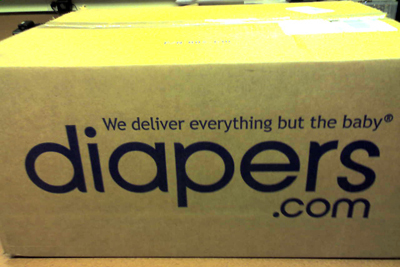 The story of Diapers.com is a typical example of the renaissance innovation. The key in the company’s success is its focus on a single product category: baby care consumables. On the surface, diapers and such represent a terrible product to bet on. They are bulky (hence expensive to ship) and low-margin (because of competition form Wal-Mart and Costco, among others). However, there is s omething else that is pretty unique about diapers. Similar to many other products (such as apparel and furniture), the key problem with selling baby products is predicting the demand and matching it with the supply. But if you think about it, diapers are very different from many other products because their demand is very predictable (in the end, children pee pretty constantly!) and product variety is pretty minimal (unlike, say, for books). Another great thing about diapers is that, unlike many other products, diapers are consumed over extended periods of time and therefore each single customer acquisition leads to a solid stream of revenues for months to come. Thus, predicting demand for diapers is orders of magnitude easier than for just about any other product and therefore this category represents minimal risk with respect to matching supply with demand. Of course, the next big issue is figuring out how to ship diapers efficiently. To be able to do so the company developed a really cool supply chain solution which is a must-see. The coolest parts of it are Kiva-robots and the packaging optimization which saves a dollar or two per package by selecting the smallest-size box for the shipment (remember all that empty space inside Amazon.com packages? – what a waste! ).